If you're using Linux as a Desktop system sooner or later you will receive an email with instructions or an html page stored in .mht file format. File -> Save As (Save WebPage) dialog saves pages in .MHT. 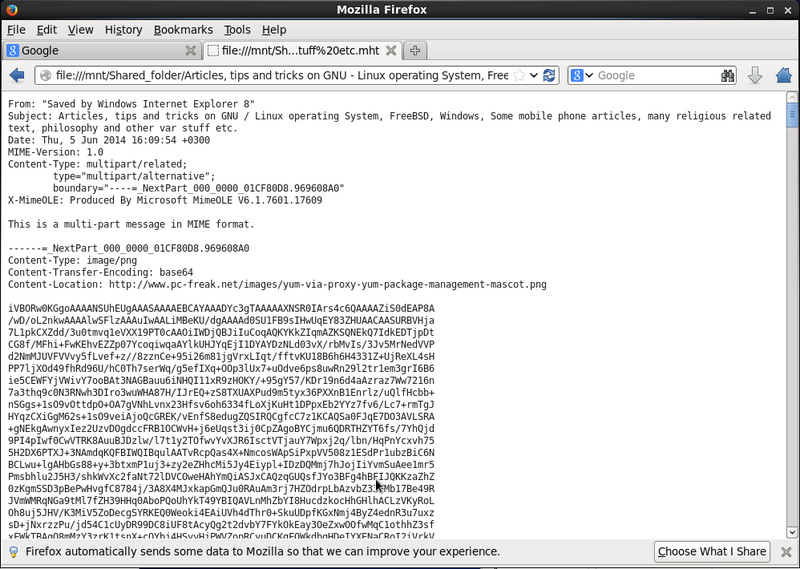 To open those .mht files on Linux, where Firefox is available add the UNMHT FF Extension to browser. Besides allowing you to view MHT on Linux, whether some customer is requiring a copy of an HTML page in MHT, UNMHT allows you to also save complete web pages, including text and graphics, into a MHT file. There is also support for Google Chrome browser for MHT opening and saving via a plugin called IETAB. But unfortunately IETAB is not supported in Linux. Anyways IETAB is worthy to mention here as if your'e a Windows users and you want to browse pages compatible only with Internet Explorer, IETAB will emulates exactly IE by using IE rendering engine in Chrome and supports Active X Controls. IETAB is a great extension for QA (web testers) using Windows for desktop who prefer to not use IE for security reasons. IETab supports IE6, IE7, IE8 and IE9. Another way to convert .MHT content file into HTML is to use Linux KDE's mhttohtml tool. Many corporations, because probably of historic reasons still provide employees with small sized mailboxes half a gigabyte, a gigabyte or even in those with bigger user Mailboxes like in Hewlett Packard, this is usually no more than 2 Gigabytes. This creates a lot of issues in the long term because usually mail communication in Inbox, Sent Items, Drafts Conversation History, Junk Email and Outbox grows up quickly and for a year or a year and a half, available Mail space fills up and you stop receiving email communication from customers. This is usually not too big problem if your Mailbox gets filled when you're in the Office (in office hours). However it is quite unpleasent and makes very bad impression to customers when you're in a few weeks Summar Holiday with no access to your mailbox and your Mailbox free space depletes, then you don't get any mail from the customer and all the time the customer starts receiving emails disrupting your personal or company image with bouncing messages saying the "INBOX" is full. To prevent this worst case scenario it is always a good idea to archive old mail communication (Items) to free up space in Outlook 2010 mailbox. 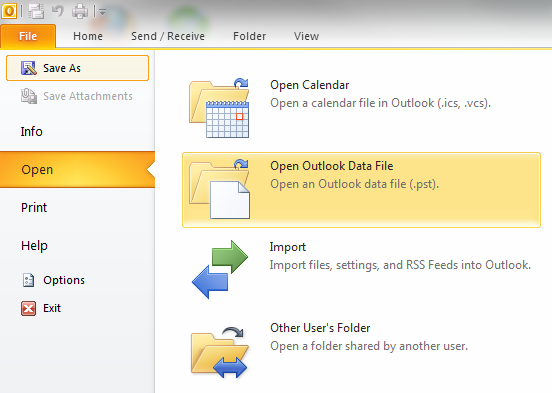 Old Outlook Archived mail is (Saved) exported in .PST outlook data file format. Later exported Mail Content and Contacts could be easily (attached) from those .pst file to Outlook Express, leaving you possibility to still have access to your old archived mail keeping the content on your hard drive instead on the Outlook Exchange Mailserver (freeing up space from your Inbox). 1. Click on the "File" tab on the top horizontal bar.Select "Cleanup Tools" from the options. 2. Click "Cleanup Tools" from the options. 3. Click on the "Archive this folder and all subfolders" option. That's all now you have old mails freed up from Outlook Exchange server. Now make sure you create regular backups ot old-archived-mail.pst file you just created, it is a very good idea to upload this folder to encrypted file system on USB stick or use something like TrueCrypt to encrypt the file and store it to external hard drive, if you already don't have a complete backup corporate solution backuping up all your Laptop content. 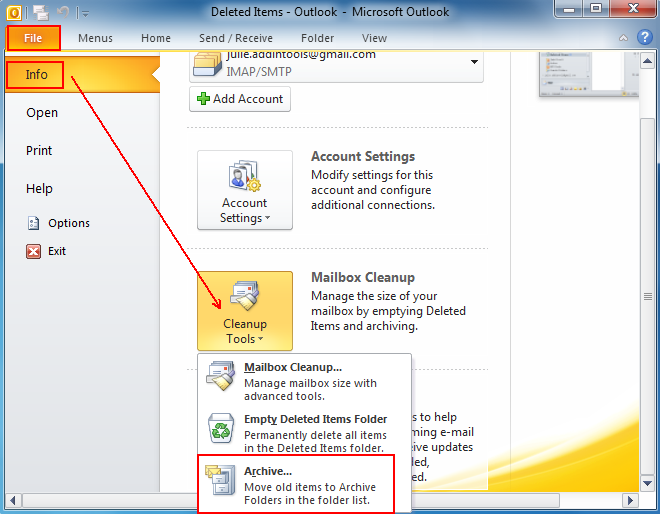 Once .PST file is opened and attached in Left Inbox pane you will have the Archived old mail folder appear. I’ve been experimenting since some time in order to understand better what is the current situation with Video Desktop Capturing Software available today for Linux and FreeBSD. Though xvidcap works pretty well, it is currently uncapable of capturing the audio stream of a Linux Desktop env and hence part of the interactivity of the videos is missing when used. RecordMyDesktop‘s package contains a command line little tool which when started directly starts capturing video and audio of the Linux Desktop. After a Ctrl+C is pressed the program quits, saves and encodes the video in ogg-encapsulated theora-vorbis file format. Buffer size adjusted to 4096 from 4096 frames. Cached 5 MB, from 207 MB that were received. Shutting down..Broken pipe: Overrun occurred. any portion of the video, which is already encoded won’t be deleted). gtk-recordmydesktop is a super-easy to use as you already see in the picture, you can either configure it with Advanced button or use Save As button to select where you want the Desktop captured video and audio to be stored. In Debian Squeeze 6.0, the Advanced GUI button interface button is not working but that’s not such an issue, as the rest of the buttons works fine. Further on, I continued and (gave the other Desktop screen capturer) Istanbul a try hoping that at least with it the video and audio of my Linux desktop will be properly captured. But guess what, the results with Istanbul was even more unsatisfactory as the produced videos and sounds, were slow and a lot of frames from the screens were missing completely. Thus I will skip on talking about Istanbul as in my view, this piece of software is far away from being production ready. 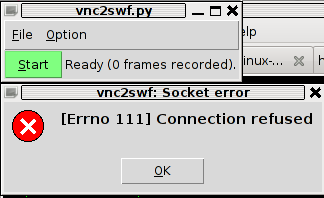 Now let me conclude, the results from my desktop video screen capturing experiments prooved that vnc2swf is superior (as it is capable of properly saving a movie with sound and video from a Linux Desktop). It appears this soft is actually the best one you can use to make a video of your Linux desktop. Let’s hope that situation will get better soon and Gnome or KDE developers will soon provide us with better software capable to save properly a video and audio captured from the Linux Desktop. If you have wondered on how to create videos aiming at manuals on how you do certain stuff on Linux, let’s say related to programming or system administration. standards-based alternative to tools like Lotus ScreenCam. As you see in the screenshot xvidcap’s menu interface is extraordinary simple. As you see it only has a stop, pause, rec, back and forward buttons, a capture selector and movie editor. Pitily xvidcap does not support music capturing, but at least for me that’s not such an issue. If you click over the field test-0000.mpeg with your last mouse button, you will notice a drop down menu with an option for preferences of xvidcap. Take the time to play with the preferences, since there are quite a few of them. 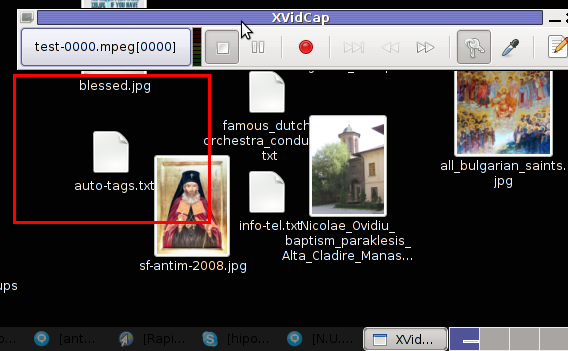 Next time you record with xvidcap, you will have the file stored in flv format. The red lines which you see in the above screenshot is the capture area, you will have to also tune the screen capture area before you can proceed with recording a video from your desktop. By selecting this option each time you press the xvidcap’s record button the xvidcap’s controller interface will be minimized to tray and capturing the video of the region previously selected with the capture selector will start up.